Relationship breakdown is a major cause of homelessness in Brighton and Hove. If you are concerned about your situation we can provide mediation or one-to-one support. 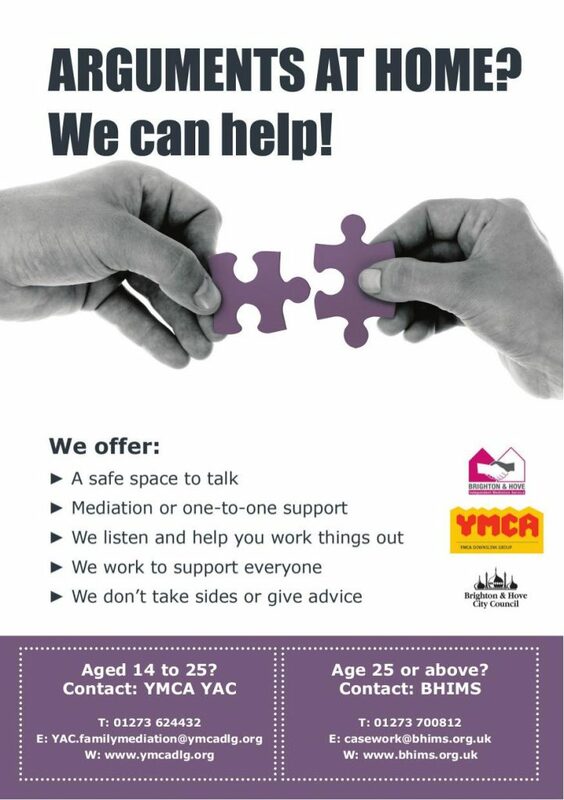 This service is free of charge to anyone living in Brighton and Hove whose housing may be at risk because of conflict. If you are self referring please complete this form. If you are an agency wishing to refer a case for mediation (Local Authority, Social Landlord, Police or other organisation) please complete this form.